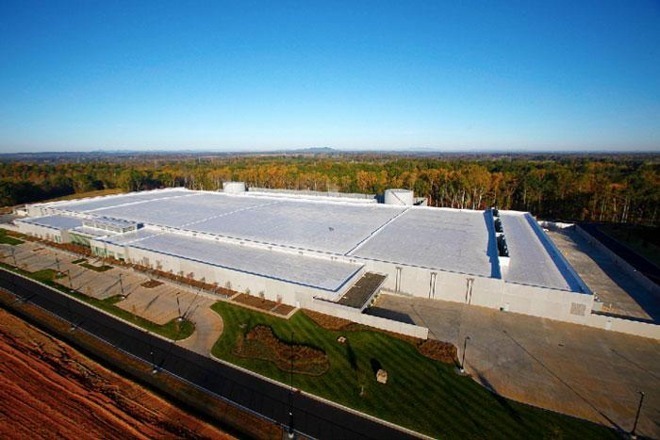 An Apple datacenter in Maiden, North Carolina. Inspur is backed by the Chinese government, and a major player in the country's internet service server market, as noted by DigiTimes. Some of the company's existing clients are said to include Alibaba, Baidu, Microsoft, IBM, VMware, and Red Hat. The firm also established an office in Apple's home state of California last year, including production, research, and development functions. Despite owning data centers in places like North Carolina, Apple is still dependent on outside parties like Amazon and Microsoft for some of its cloud infrastructure. The company is moving towards self-sufficient infrastructure in an effort known as "Project McQueen," including purchases of land in Hong Kong and mainland China, which should house future datacenters. The switch may make more financial sense for Apple than investing in third parties, but the company is also thought be worried about potential backdoors inserted somewhere along the supply chain, something that could be helped by exerting more control. Snooping could, however, still be a concern with a firm like Inspur, since the Chinese government regularly intercepts internet traffic.